Naper Auto Works has provided premier customer service and auto repair in Naperville, since 1977. People who bring their vehicles to us are our friends, family, and neighbors, many of whom have trusted Naper Auto Works with their vehicles for decades. 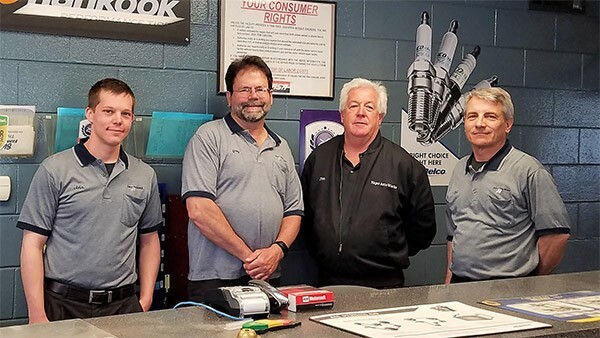 We believe that our quality auto repair in Naperville is a reflection of our shop’s character, and our team is dedicated to upholding the reputation for excellence we have built over the last 30 years. 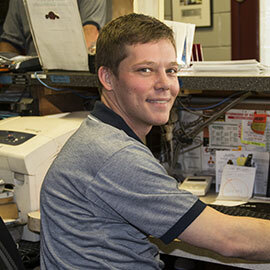 Our team members always strive to meet and exceed all of your expectations for service and auto repair in Naperville. Since opening our shop doors, we have diligently upheld our original business plan of developing ongoing relationships with our customers, rooted in confidence and trust. Our customers are always treated with the utmost respect. We recruit and retain the best auto repair technicians possible, so you have only the most qualified experts handle your vehicle. Our original location was at 400 E. Ogden Ave. (at Loomis St). On September 1st of 1977, founding partners Jim Hess & Greg Waite, after much cleaning & refurbishing, re-opened the closed down 4 service bays at the Old “Gas Can” Gas Station there ~ only to find out a few months later that the property had been sold to a bank to build on. On March 1st of 1979 Greg & Jim relocated Naper Auto Works to our Current Location on Mill St where Naperville Ready Mix had been located for many years. Our company has grown at a constant rate ever since. We strive to treat our customers just how we would want to be treated. We look forward to serving you! Jim attended Naperville Central High School and concentrated his studies towards an automotive career. 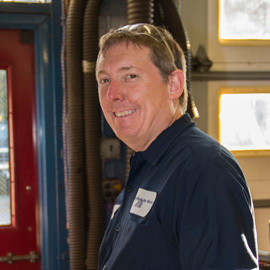 Following high school, Jim attended Waubonsee Community College and earned an Associate Degree in Automotive Technology in 1976. 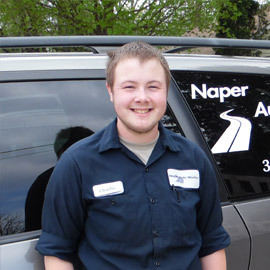 He then spent another year studying business at College of DuPage before partnering with Greg to start Naper Auto Works. Jim’s previous employment includes working at a Goodyear tire service center & the service department of a Ford industrial tractor dealership. Jim has spent many years coaching youth football, including teams advancing in the Pop Warner National Champions. He currently is an assistant coach for NNHS Varsity Football. He also enjoys attending Bears games with his family and friends. 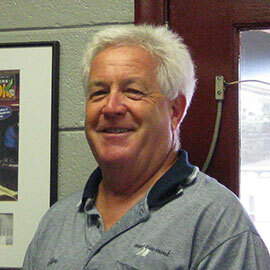 You will likely encounter Jim at our service counter, busy with handling & coordinating many of our service operations. Growing up in Naperville and a 1974 Graduate of Naperville Central High School. 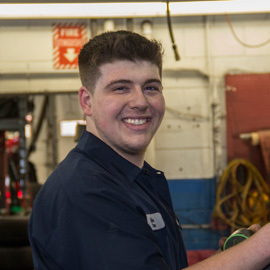 One of Greg's after school jobs was at a local “full-service corner gas station” from being a gas jockey, a tow truck driver, snow plowing, and basic auto service set the stage for his future. Employed by the City of Naperville ('73 -’77) gave him experience with everything from small to large equipment and passenger cars to large trucks. He has attended automotive & business programs at the College of DuPage, Triton & Waubonsee College, as well as many OEM & aftermarket training programs. His hobbies include woodworking and metal fabrication as well as keeping up with his grandchildren. Greg is on the board of directors of The Automotive Service Association of Illinois, Naperville Crime Stoppers and Naper Settlement. Our team specializes in many different types of vehicles, and since they work on a wider variety of vehicles than their dealer counterparts, their overall expertise is greater, too. By working on many makes and models, our technicians can be trusted to properly diagnose challenging repairs and other issues. 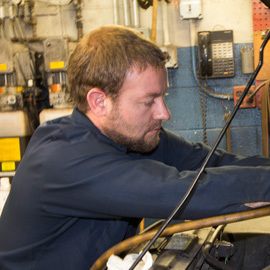 As automotive technology advances, our team is continually updating their education & skills. We appreciate each one of our customers, and are proud to help them better their driving safety and experience with top quality maintenance and auto repair in Naperville, IL. 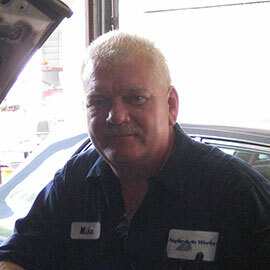 Bill joined our team as an experienced mechanic back in July of 1982. 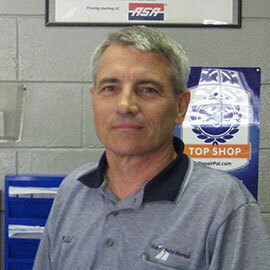 Over the years Bill has advanced to become our trusted service adviser and oversees many areas of our company. You will not only find Bill at our service counter, he may be out on road on a service call or road testing a problem car. Mike is our Shop Foreman with an advanced L1 Certification, Wyoming Technical Institute 1984, Mike joined our team in January 1996. Wyoming Technical Institute 1979, Mike joined our team in July 1994. 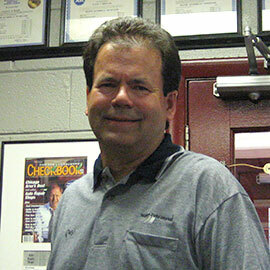 Universal Technical Institute 2001,Tim joined our team in May 2005. Pape joined our team in August 2013. 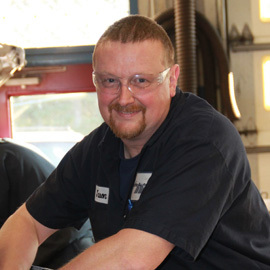 John has been in the Oil Change and in Service Management for about 8 years before joining our team in July of 2015. Al with 20 years of automotive experience joined our team in December 2014. 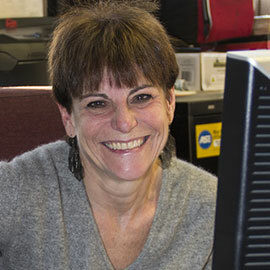 Joan is our office manager has been with since 2014. Jason with his 25 years of automotive experience joined our team in June 2015. 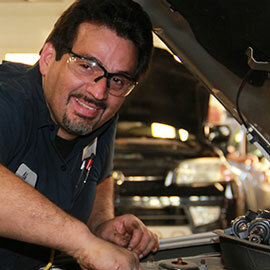 Give Us a chance to be your “one stop shop” for oil changes, maintenance & repairs! At Naper Auto Works, we always go the extra mile in the shop so you can on the road! Give us a call today. We’re excited to show you why so many customers chose Naper Auto Works for all of their maintenance needs and auto repair in Naperville, IL!